Parliament monsoon session HIGHLIGHTS: Following the uproar over NRC in Rajya Sabha, the Chairman of the Upper House adjourned the session till tomorrow. Follow all the live updates here. An uproar was caused in Rajya Sabha on Tuesday over the final draft of NRC. Chairman Venkaiah Naidu was forced to adjourn the House after members of the Congress trooped to the Well and raised slogans. Rajya Sabha witnessed unruly scenes Wednesday when Chairman Venkaiah Naidu asked BJP president Amit Shah to conclude his statement over the final draft of National Register of Citizens (NRC). 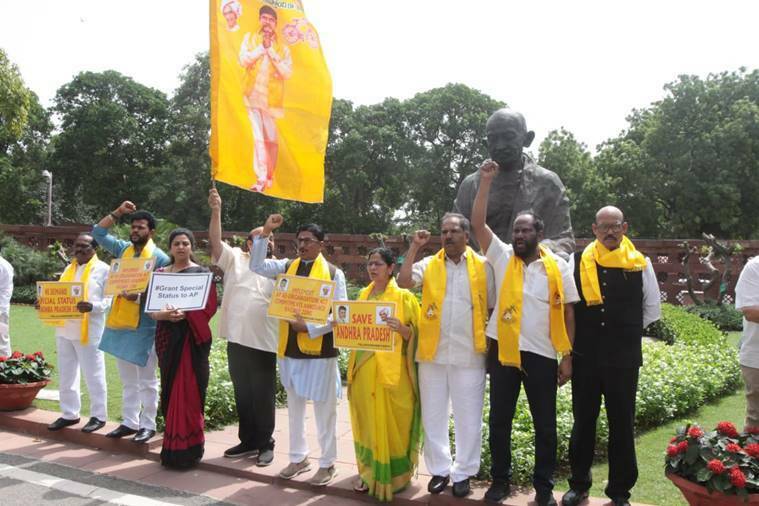 With the Opposition unrelenting, Naidu was forced to briefly adjourn the House. On Tuesday, the Upper House transacted little business after Congress MPs trooped to the Well and raised slogans over Shah’s remarks on the NRC. Shah, in his address before the House, claimed the Congress, unlike the BJP, lacked courage, to identify illegal migrants in Assam. Meanwhile, Union Minister of Law and Justice Ravi Shankar Prasad is likely to table The Commercial Courts, Commercial Division and Commercial Appellate Division of High Courts (Amendment) Bill, 2018. The Banning of Unregulated Deposit Schemes Bill, 2018 and The National Sports University Bill, 2018 are also listed for business. Outstanding Parliamentarians Award for the year 2016 was given to TMCs Dinesh Trivedi and Bhartruhari Mahtab of BJP was awarded the Outstanding Parliamentarians Award for the year 2017. President Ram Nath Kovind presents Outstanding Parliamentarians Award for the year 2013 to Dr Najma Heptulla, the for the year 2014 the award was presented to BJP's Hukumdev Narayan Yadav. While, Congress leader Ghulam Nabi Azad was given the Outstanding Parliamentarians Award for the year 2015 at the Parliament House today. The India-China face-off over Doklam was resolved through "diplomatic maturity without losing any ground" and status quo has been maintained, External Affairs Minister Sushma Swaraj said today. The government said that the demarcation of nine pillars between the India and Myanmar border was being worked out in a complete understanding with the neighbouring country. 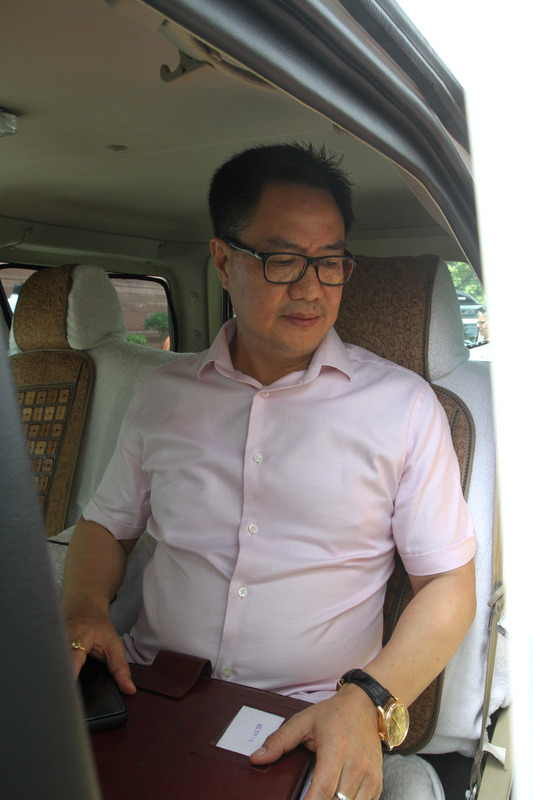 Rejecting reports about border dispute and destroying of pillars in the Manipur region as false, Minister of State for Home Kiren Rijiju said a high-level central team has already visited the spot and reported that there is no dispute on the issue. Replying to supplementaries during Question Hour in the Rajya Sabha, he said the Indo-Myanmar boundary was 1,472 km long, out of which 171 km is to be demarcated through a boundary mechanism which both the countries have established. Lok Sabha passes the Commercial Courts, Commercial Division and Commercial Appellate Division of High Courts (Amendment) Bill, 2018. The bill, which was passed by a voice vote in the Lok Sabha, also allows state governments to establish commercial courts at the district level, even in territories where high courts have ordinary original civil jurisdiction. "We want to provide option of using commercial disput resolution to smaller traders also," said Law Minister Ravi Shankar Prasad in reply to opposition concerns regarding already over-burdened courts. N K Premchandran, RSP of Kollam, opposes the amendments to the Code and questions meaning of the Act. "The original purpose of the Act is to bring fast track courts at commercial subordinate and divisions level and to provide compulsory mediation," says Premchandran. Amidst the slogans and ruckus created by the Opposition and TMC members, Rajnath Singh said he would be willing to place his speech before Naidu since the members are not ready to listen. Naidu further put it on record Singh's presence in the House for the last three days and adjounred the House. No slogan is going on record. On asking Amit Shah to conlude his statement, Opposition has started an uproar again, raising slogans. Rajya Sabha resumes with the completion of the NRC. 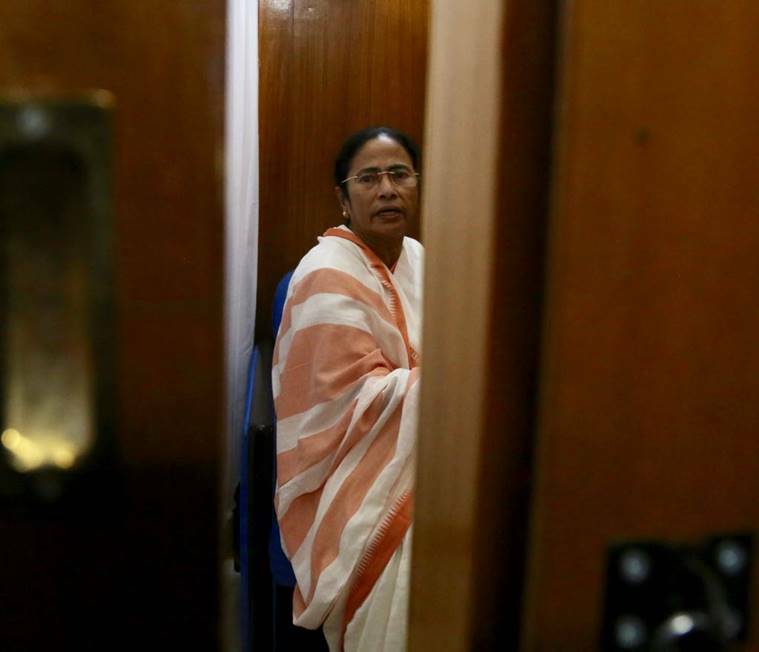 West Bengal CM Mamata Banerjee meets people in her room at Parliament. On the issue of fake news, Law and IT Minister Ravi Shankar Prasad today said in Lok Sabha that social media platforms should themselves weed out circulation of fake news and that the government will not tolerate abuse of data by companies for influencing elections in India. 'Any foreign entity, Facebook or Cambridge Analytica, cannot abuse the data of Indians to influence elections of India. India's elections are very transparent, sanctified,' Prasad in the Lok Sabha during Question Hour. The minister's comments come within days of rumours on social media platform Whatsapp triggering lynching incidents in the country. The Lok Sabha has been adjourned after conducting the question hour. 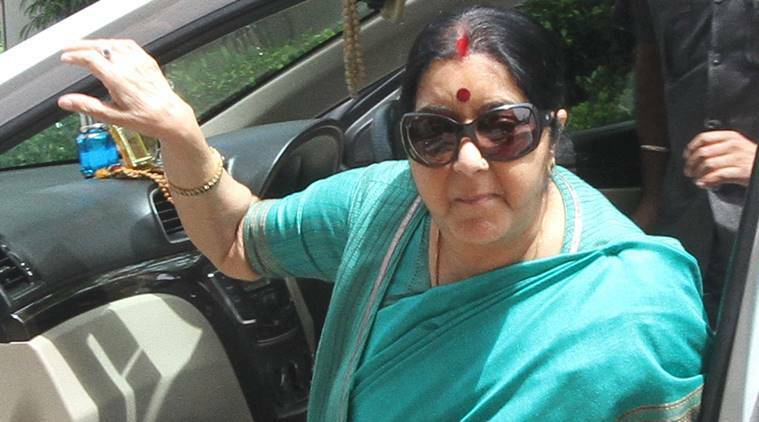 External Affairs Minister Sushma Swaraj told the Lok Sabha about the prime objective of the informal summit between Prime Minister Narendra Modi and Chinese President Xi Jinpin at Wuhan was to ensure mutual comfort, mutual understanding and mutual trust between the two leaders and all the three objectives have been achived, reported PTI. Chairman Naidu adjourns the House after taking up 12 questions during question hour. The session would resume at 2 pm and Naidu states that NRC would be discussed post-adjournment. BJP Member Rupa Ganguly comments on the present situation in West Bengal and questions if it is 'any less than bloodbath or civil war'. Discussion about reservation for women and other lack women police constables are underway in Rajya Sabha. matter related to compensation to families of deceased Indian security officers, MoS Home Affair Hansraj Gangaram Ahir answered that the family would not recieve less than Rs. 1 crore. Minister of Civil Aviation Suresh Prabhu answers a series of questions put forth by members of Parliament during question hour. 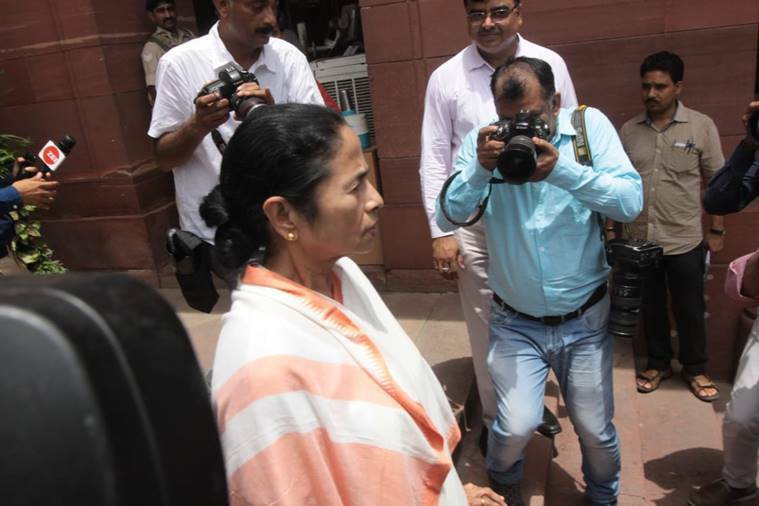 A police complaint has been filed against Chief Minister Mamata Banerjee. The complaint has been filed by a BJP Yuva Morcha leader at Naharkatiya Police Station in Assam against the comments of Mamata regarding the National Register of Citizens (NRC) issue. After the NRC draft was issued which excluded 40 lakh people of Assam, Mamata had said, “The NRC might lead to a civil war. There will be bloodshed. Members of minorities and dalit communities are being driven out of the country.” The complaint was filed after this comment. Chairman Naidu starts the question hour after Opposition demanded Home Minister Rajnath Singh to address the House. Issues like ATF under GST, petrol and diesel under GST, revenue base under GST, crisis in the aviation sector, petroleum products under GST, rising prices of petrol and diesel, coastal pollution, industrial plant effluents and pollution caused by textile industries. Chairman Naidu sits and the proceedings of the Upper House begins. During the question hour in Lok Sabha, issues like status of post offices in Mumbai, lavatory facilities on Railway stations are under discussion before Speaker Sumitra Mahajan. 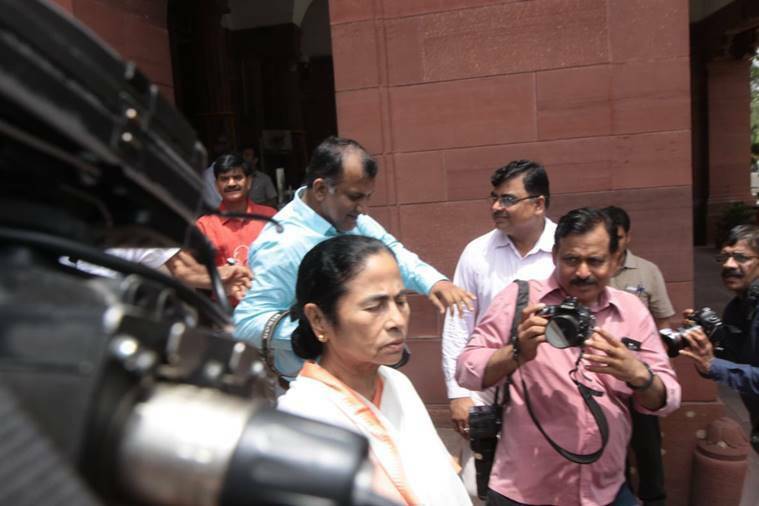 Prior to the session, Congress MP Adhir Ranjan Chowdhury had given zero hour notice in Lok Sabha over the NRC. Uproar in the Upper House commenced when Amit Shah was asked to conclude his statement by the RS Chairman over the final draft of NRC. Naidu began the session expressing grief over yesterday's ruckus created by the opposition and hoped that it would not be repeated. Naidu adjourns the House till 12 pmdDue to the uproar caused in the beginning of the session. Rajya Sabha Chairman M Venkaiah Naidu resumes the sitting on the tenth day of the monsoon session. Marking a productive day at Lok Sabha, the Insolvency and Bankruptcy Code (Second Amendment) Bill 2018 was passed by a voice vote yesterday. The bill is meant to include home-buyers among creditors in real estate projects, and ensure speedy resolution of stressed assets. Finance Minister Piyush Goyal defended the bill and said all provisions of the Bill were prospective, and not retrospective to benefit any company, and the National Company Law Tribunal (NCLT) had decided to refer back the issue of acquisition to the Committee of Creditors (CoC). A discussion over Rohingya community also took place in Lok Sabha on Tuesday. The government the Lower House that people from the Rohingya community living in India have been involved in illegal activities. Union Minister of State for Home Kiren Rijiju Rohingya are illegal immigrants and do not enjoy the status of "refugees". There was little support for the Rohingya as the BJP and Shiv Sena members forcefully raised issues related to the community. Home Minister Rajnath Singh said the BSF and Assam Rifles, guarding international borders, had been “sensitised” to ensure that such illegal migrants do not enter the country. Trinamool Congress member Sugata Bose raised concern as well, “Are we only going to export our insaniyat to Bangladesh? Will we not show some insaniyat inside our own country." On Monday, a final draft of the National Register of Citizens (NRC) was released listing 2.89 crore citizens. Around 40 lakh people were not a part of the draft forming questions on their identity. 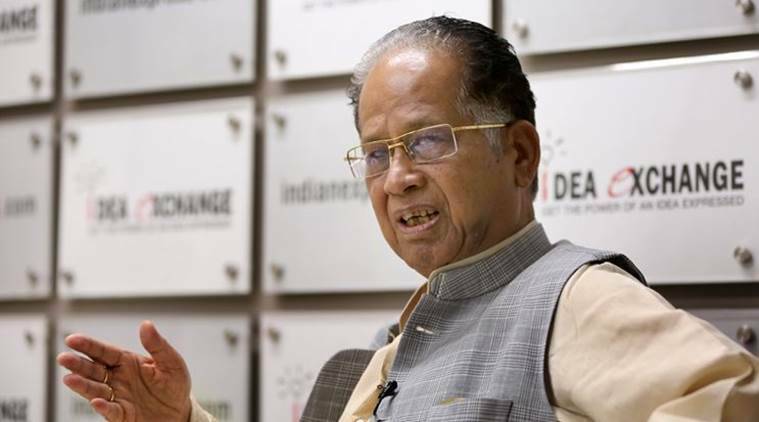 Assam Chief Minister and the Union Home Minister have clarified that there is scope for filing claims and objections and that no one will lose his/her citizenship rights or be sent to a detention camp for foreigners merely on the basis of the draft NRC. Published in 1951on the basis of that year's Census, Assam is the only state to have the NRC used to identify its citizens. 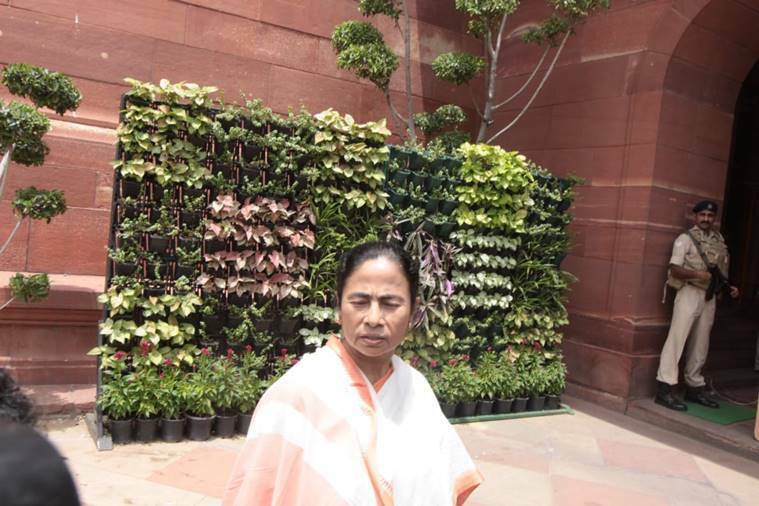 Welcome to The Indian Express LIVE blog on the tenth day of the monsoon session of Parliament. Congress MP Gaurav Gogoi stated the purpose of NRC, "to see how many foreigners are identified… and genuine Indian citizens, irrespective of their religions… their names should be in the NRC. It is our baby. We cannot disown it. But our case is that the way it has been prepared, the way the final list was published, it is full of mistakes."